For most of us, the holiday season is a joyous time. We can’t wait to decorate our homes, shop for gifts and, of course, attend parties where there is plenty to eat and drink. Our elderly loved ones, however, may view the holiday season a bit differently. In many cases, they are not able to travel outside the home too often and therefore, cannot participate in all of the holiday-based festivities that are commonplace at this time of year. Even worse, there are many seniors who simply have no one to celebrate the holidays with. Their families live far distances away and they don’t get to enjoy the opening of gifts or the sharing of meals the way so many others do. 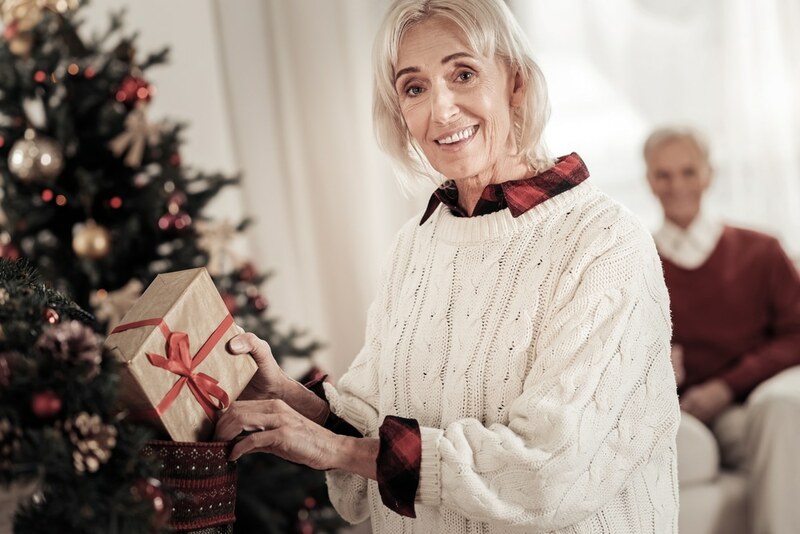 We’d like to offer a friendly reminder that if you’re fortunate enough to still have your aging parent either living in your home or close to it, you should find ways to involve them in your holiday preparations. Get them to help you plan your events. We’re not assuming that you will delegate the task of preparing an entire holiday meal to your elderly loved one. However, offering opportunities to weigh in on such decisions as what to cook, who they may like to invite over and how to decorate the home are great ways to get your aging family member involved in the holiday celebrations. Get them to write in holiday cards. Although we currently live in a very digitally-obsessed world – making email a preferred method of communication over traditional letters – the act of writing in holiday cards and mailing them off to family members and friends is still quite a popular annual tradition. Seniors will especially appreciate the opportunity to participate in a holiday activity that has been familiar to them throughout their lives. Get them to help you decorate. Decorating is another annual holiday tradition. Between putting up lights, a Christmas tree and its ornaments, decorating can be a long and arduous process. Get your elderly loved one to help. Of course, this is only an advisable suggestion if your aging parent is physically capable of helping you decorate without risk of injury. In many cases, you may need to safeguard your home in order to ensure the safety of the senior who lives within it. At Advantage Home Health Solutions, we offer a number of bedroom and bathroom accessibility devices that help to ensure the safety of your elderly loved one. For more information, please don’t hesitate to give us a call at 403-460-5438. You may also email us by filling out the form on our Contact page!